We've flown a lot of drones here at Test Pit Towers, but usually we're fighting to stop them from crashing. 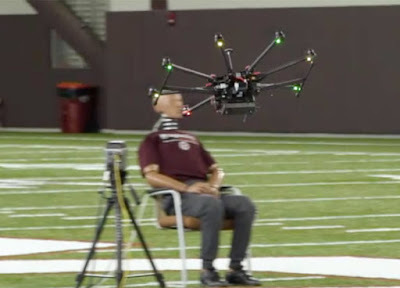 However, at Virginia Tech, working with the Centre for Injury Biomechanics, a group of researchers spend all day intentionally smashing expensive consumer drones into crash test dummies. Best job in the world? As fun as all this looks it is for a very important reason. Just like how dummies have been used to help improve the safety of cars, so they can help drone designers create a UAV that would cause less harm should it impact a human. With more and more drones in the sky than ever (and many more to follow) this kind of research is essential.